Forget about nuclear weapons, biological and chemical. Because this time around the world, especially the former conflict areas in Africa, the Middle East, Indochina, the Balkans and the millions of children and innocent people killed by guns in military circles referred to as conventional weapons. Weapons like cluster bombs, napalm, phosphorous bombs, bullets DU (depleted uranium), mine are very popular for use in combat, because aside from it available even for poor countries, despite the military, this weapon also has a destructive effect is great enough, but the development of these weapons will bombbecause this is a very significant influence on the post-war period. Some weapons like cluster bombs and mines were barred from the United Nations will actually produced or used in hostilities, and business interests of producing countries, as the United States, Israel, France, China, Russia and other closed eyes hearts politicians and military experts in many countries continue to use and produce these weapons. To our knowledge, all of the following, I present some details of these controversial weapons. 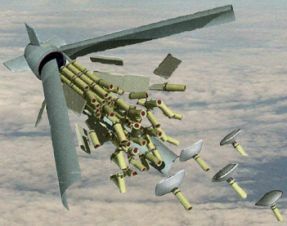 Cluster bomb is a bomb that has a unique mechanism whereby after launch from fighter planes or bombers, the bomb will explode into hundreds of small bombs in the form of cans. At the beginning of this bomb was created to destroy the air base runway, a convoy of armored vehicles or to disperse the concentration of ground forces. Produced by various names, such as the CBU-Cluster Bomb units (United States), Belouga (France), Excalibur (United States). 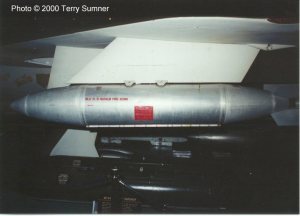 The bombs were used effectively in the war in Iraq, Afghanistan and the Arab-Israel war. Napalm bomb is a bomb fuel containing certain chemicals in the form of paste, which will burn so bomb blast on the Earth. Liquid soaps, which will spread the flames into different sides and very efficient bombs to destroy ground forces that hide in trenches or forest. 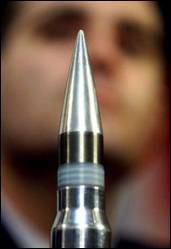 Depleted uranium bullets are the type of bullet that was developed from the results of Uranium waste dismantling a nuclear bomb. Literally means uranium depleted uranium radiation is attenuated. These bullets are very powerful and become the standard weapon cannon GAU-8 Avenger Gatling who brings A-10 aircraft as well as Bushmaster cannon on the Bradley APC. DU was also used to make anti-materiel rounds the base of the Abrams tanks. The effectiveness of this weapon is able to penetrate any thickness of steel tanks and it has been shown in the war of Iraq in which hundreds of Iraq tanks become victims of this weapon. What makes this weapon is a controversial uranium content of which turned out according to the research still emit dangerous levels of radiation in humans. This is evident in the case in Bosnia when some Italian soldiers suffering from leukemia a few days after using bullets. In Iraq, the tanks were destroyed by a bullet that emit radiation, which makes tanks destroyed was not safe to be approached.